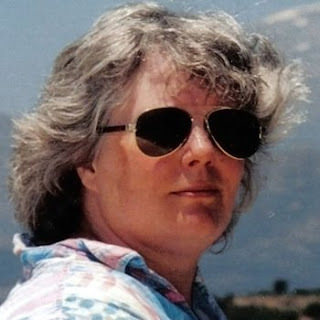 Word has sadly arrived that science fiction and fantasy novelist Vonda N. McIntyre has passed away at the age of 70. Born in Louisville, Kentucky, McIntyre started publishing work of genre interest in 1970, with her short story "Breaking Point". The following year she founded the Clarion West Writers' Workshop in Seattle. In 1973 she won her first Nebula Award, for the novella "Of Mist, and Grass, and Sand." She published her first novel, The Exile Waiting, in 1975. McIntyre's second novel, Dreamsnake (1978) (an expanded version of "Of Mist, and Grass, and Sand"), attracted considerable acclaim on release and won the Hugo Award for Best Novel in 1979; it also picked up a Nebula. McIntyre was only the third woman to ever win a Hugo Award. McIntyre's other work includes the Starfarers series (based on an idea she had for a TV series) and the semi-historical novel The Moon and the Sun (1997), which was filmed as The King's Daughter (2014) starring Pierce Brosnan and William Hurt. She also wrote The Crystal Star (1994), set in the Star Wars universe, but seemed less comfortable in that setting. Arguably, McIntyres's best-known work came as part of the Star Trek franchise. In 1981 she wrote The Entropy Effect, the first original novel in the Pocket Books line which ran to several hundred volumes. The novel is notable for creating the first names of the characters Sulu and Uhura (Hikaru and Nyota respectively), as McIntyre felt it was ludicrous that these names had not been given before. Other writers in the line quickly followed suit and both names were later canonised in the films and ancillary material. McIntyre went on to write the well-received novelisations of the "Genesis Trilogy", Star Trek II: The Wrath of Khan (1982), Star Trek III: The Search for Spock (1984) and Star Trek IV: The Voyage Home (1986), which were all immensely successful and attracted both sales and critical praise beyond that of standard film novelisations. Because of the quality of her work, McIntyre was picked to write Enterprise: The First Adventure (1986), a much longer-than-normal Star Trek novel which depicts the first voyage of the USS Enterprise under Captain Kirk's command, at the start of the original five-year mission. Despite her immense popularity in the Star Trek fiction community, she chose to move on to her own works rather than exploiting the setting further. McIntyre continued to work as a short story writer and fiction editor until the late 2000s. She passed away yesterday in Seattle from pancreatic cancer. A confident and skilled writer in both her own worlds and those of others, she will be missed.